Alabama might not be seen as a favorable spot for progressive ideas, but the state's strong support of free speech goes back more than 100 years. Case law from both state and federal courts in Alabama show that preliminary injunctions that restrict free speech--the kind that led to my recent incarceration--are unlawful. The order underlying Shuler's arrest is unconstitutional. There is a strong and venerable rule in American law against pretrial injunctions prohibiting defamation. This is not some mere Yankee affectation. The courts of Alabama — where Judge Neilson issued his injunction — have long recognized the principle. "Nor can an injunction be granted to restrain the publication of a libel." Montgomery & W.P.R. Co. v. Walton, 14 Ala. 207 (1848). Popehat notes that an injunction is an equitable remedy, one that is only supposed to apply where legal remedies, such as money damages, are unavailable or inadequate. Popehat then shines light on these principles by citing a federal case that was heard in Alabama in 1909. We will take a look at that case, and what it says about my 2014 situation, in an upcoming post. Reporting on my incarceration has focused on a preliminary injunction that constitutes an unlawful prior restraint under the First Amendment to the U.S. Constitution. Analysts from all sides of the political spectrum have come to that conclusion. Problems with the injunction, however, do not end there; it also runs afoul of the Alabama Constitution. Alabama often gets tagged as a backward state, but the state constitution takes a progressive stand on free-speech matters. "No law shall ever be passed to curtail or restrain the liberty of speech or of the press; and any person may speak, write, and publish his sentiments on all subjects, being responsible for the abuse of that liberty." We have found at least two cases where that sentiment was used to overturn prior restrictions on speech in Alabama. That means that the civil contempt finding and resulting incarceration in my case was contrary not only to fundamental Bill of Rights law at the national level, but it also appears to conflict with the Alabama Constitution's powerful language to ensure free speech. Legal Schnauzer is not the only blog to have its content lifted by a blogger from India who goes by the name "Poonam Verma." As happened in our case, part of the scheme is to add the letter "a" to the end of a key word in the URL. 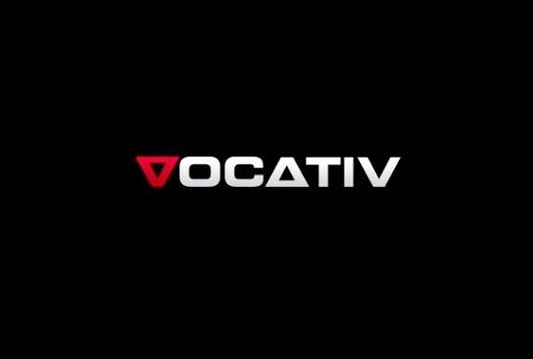 The discovery came from Michael Donahue, an information-technology professional we asked to look at legalschnauzera.blogspot.come, the India-based site that copied our work. Donahue not only found the source of our problems, he also found at least one other U.S. blogger who had been targeted. That was the Good Point Ideas Blog, which can be found at retroworks.blogspot.com. Robin Ingenthron, of Middlebury, Vermont, writes the blog and owns a company called American Retroworks Inc. The blog and the company focus on recycling, electronic exports, and fair trade. On January 9, 2014, Ingenthron wrote a post about a blog from India that was lifting his content, and he traced it to someone using the name "Poonam Verma." In this case, the URL was changed to retroworksa.blogspot.com and the title became "Damageethical Blog." That's exactly what happened with Legal Schnauzer. An "a" was added to our URL, with content lifted and an ad linked to each post. Our thanks to Michael Donahue for helping us learn that we aren't the only victims of this scam. A blog based in India stole content from Legal Schnauzer by using a technique called "Web scraping," an information-technology professional states. What is the key tip-off? It's the rogue blog's use of advertising, our IT source states. The blog, LegalSchnauzera.blogspot.com, uses an almost identical title and Web address as this blog--with the only difference being the addition of the letter "a" after schnauzer. Republican political figure Rob Riley cited LegalSchnauzera in court documents and claimed the site might signal that I had not been fully purged of contempt after my wife, Carol, removed certain items from sites under our control, leading to my release from jail. Typically the term "Web Scraping" is used to describe the act of taking content from a third party website (such as your blog) and displaying it on (another) website. Web scraping is not always malicious. For example many popular travel websites utilize web scraping. When you search for a flight the travel website reaches out to third party websites such as Southwest, Delta and American Airlines. Only the relevant information from the third party website is displayed to the user. . .
As it relates to "Legalschnauzera.blogspot.com" it is clear that the website is blog scraping. (http://en.wikipedia.org/wiki/Blog_scraping) All links redirect the user to advertisements. The user probably used your RSS feed to automate the process and capitalize on advertising revenue. The creator of this website either used a fictitious name or did not have any concerns about revealing their identity. The owner of the blog is listed as Poonam Verma. I found two separate forms of advertising on this website. The first one was Google Adsense. The second one was more of a custom solution in which the links direct the user to other websites owned by Verma. A Web site that Alabama political figure Rob Riley cited recently in court papers is registered to owners in India, an information-technology professional tells Legal Schnauzer. The IT source also states that it appears Legal Schnauzer has been the victim of a common form of content theft called "Web scraping." Riley states in documents that he had discovered a Web site called LegalSchnauzera.blogspot.com, which has an identical title and address to my blog, except for the "a" added to the end of the word schnauzer. Riley says the "LegalSchnauzera" site still was running certain articles that my wife, Carol, had removed from Legal Schnauzer to comply with a court order and gain my release after five months in jail on civil-contempt charges. Riley asserts that the presence of the "LegalSchnauzera" articles raises questions about whether I was fully purged of contempt, and he has asked for a hearing or a show-cause finding on the issue. As we stated in a post yesterday, neither Carol nor I had any knowledge of, or connections to, "LegalSchnauzera"--and she had, in fact, removed all of the court-ordered items under our control. Now we know that the rogue site has roots in India and apparently has been making unauthorized use of Legal Schnauzer content--in heaping portions. We already have sent a cease-and-desist letter to the listed e-mail address. Verma's name appears on "LegalSchnauzera," but it was unclear if that was a real name. Our IT source says advertising data refers to other sites where Verma is the registered owner. The rogue site apparently has not been updated since September 2013, but it includes Legal Schnauzer posts from the early days of our site. We have filed a response to the Riley document and outlined our findings regarding the origins of "LegalSchnauzera." Alabama political figure Rob Riley has asked a judge to determine if I had any involvement with a Web site running articles that had been removed from Legal Schnauzer in order to purge a contempt finding and gain my release from jail. The Web site in question is legalschnauzera.blogspot.com, with the addition of an "a" being the only difference between it and the title and address of my blog. "LegalSchnauzera" is filled with pop-up ads and pretty clearly appears to be a rogue Web site of some sort. Riley is asking Judge Claud Neilson for a hearing--or to require my wife, Carol, and me to show cause concerning any involvement with "LegalSchnauzera." 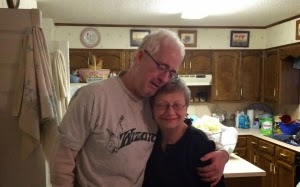 Carol removed certain items from Legal Schnauzer, plus my YouTube and Twitter accounts, in order to purge a contempt finding and gain my release after five months in the Shelby County Jail. The answer to the primary question at hand is simple--neither Carol nor I have ever had any involvement with "LegalSchnauzera" or any Web site like it. We only learned of it upon receiving Riley's court documents on Saturday. In his March 26 release finding, Neilson noted Carol's "good faith efforts" to remove certain items from sites that were under our control. We have continued to act in good faith, but now a rogue blog of unknown origins has muddied the waters. So where did "LegalSchnauzera" come from, and who is behind it? We don't know the answer to that question, but we certainly would like to find out. Online content theft is, unfortunately, a common incident these days. As soon as a site becomes popular, it’s only a matter of time before someone reproduces it and tries to make a buck from it. One simply needs access to a RSS feed and an Google AdSense account in order to monetize from someone else’s work, and sadly, this happens all too often. A quick visit to "LegalSchnauzera" shows that it is awash in ads. If you click on an article, it tends to call up an ad. In some cases, ads are superimposed so that an article cannot be read. It appears that the articles are there only as a vehicle to attract ad revenue. Why did someone choose my articles as such a vehicle? I have no idea, but after spending five months in jail, this seems like another gross violation of my fundamental rights as a citizen. In terms of taste, I don't want anyone thinking I might be involved with a site like "LegalSchnauzera." More importantly, Carol and I have dealt with the court in an upfront and honest way throughout--and we will continue to do so; we aren't into playing shell games via a Web site that appears to be anything but upfront and honest. In an email Saturday evening responding to questions from AL.com, Shuler stated he had received a copy of the filings by Rob Riley's attorneys Saturday afternoon and stated he was "baffled" and denied having anything to do with the other website. "I've never heard of legalschnauzera.blogspot.com, and I have no involvement with it," Shuler wrote in the email. "I took my first glance at it a few minutes ago, and it appears that someone has taken many of my posts and adopted them as their own. The author claims to be someone named Poonam Verma, and I have no idea who that is--or if it is even a real person. "I'm sure Mr. Riley is upset to discover this Web site, and so am I. It looks as if my site has been hijacked," Shuler wrote. "I've never dealt with this sort of problem before, so I'm not an expert on it, but I think the key thing is to contact the hosting site and let them know that someone is using their service in a fraudulent way. I'm looking into doing that right now. "I will be glad to help Rob Riley and his associates in any way that I can to straighten this out," Shuler wrote. "I'm concerned that this has happened, and I hope I can help get to the bottom of it." I plan to file a formal response with the court shortly. My five-month incarceration from the fallout of a defamation lawsuit is an "extremely dangerous" development, the head of a leading journalism organization says in a new story at Al Jazeera America. Reporter Wilson Dizard wrote the story, titled "Case of Jailed Blogger Raises First Amendment Concerns." The merits of Shuler’s blog aside, journalist and civil liberties groups tend to agree that his incarceration raises flags in terms of First Amendment rights. “If he did wrong, then there are recourses in civil court, but the government should not throw people in jail for expressing themselves,” he said. Shuler said he would have challenged the injunction using the First Amendment if he’d had the opportunity. “I was never served with the restraining order. I've never seen it to this day. I certainly would have appealed the injunction on First Amendment grounds if I had not been arrested before I had the chance,” he said. I should note that I was open to hiring an attorney, but my arrest came so quickly that it short-circuited most any opportunities to defend myself. Could this case have broader implications for general communications on the Web? It could if the law is applied to others as it has been applied to me--but hopefully, it won't come to that. A 2013/14 Virginia case styled Dietz v. Perez, involved a preliminary injunction very much like the one in my case. Fortunately, there was no effort to arrest Jane Perez, who had posted negative reviews at several Web forums about a contractor who had done repair work on her townhouse. One expert called my incarceration an "aberration." Shuler suggested that his case should concern all those who write on the Web, in whatever form. “What if people could be jailed because of comments they make on Facebook or Twitter or any other Web forum? That could happen if the law were applied the way it has been in my case,” he said. “The Supreme Court has recognized that the full protections of the First Amendment apply online, and most courts have appropriately balanced the rights in online cases. Of course, as the Shuler case illustrates, there are some outliers,” he said. "Why are you here?" tends to be the most common question that inmates ask each other. Inmates in the Shelby County Jail usually reacted with disbelief when I told them I was in jail for writing a blog. That's one of several new insights from "The Accidental First Amendment Martyr," an article by Versha Sharma at Vocativ.com. Sharma points out that issues in my case go well beyond the press; they have implications for anyone who might write critically about an individual or entity on the Web--at Facebook or Twitter, for example. How did other inmates respond when you said you were in for blogging? People looked at me like I was crazy. Most Americans have a sense of what the First Amendment means, and I can’t tell you how many times people would say, “That’s wrong.” I never should have been in jail at all under the law. There’s just no provision for preliminary injunction in a defamation case. It runs contrary to First Amendment law that goes back to the 1800s. As for the broader implications of the prior-restraint issues in my case . . .
Why do you think your case is important? This is not just about journalists. It’s about anybody going on the Internet. There was a case similar to mine, Dietz v. Perez. Jane Perez had hired a contractor to work on her town home. She went on Angie’s List and Yelp and wrote a critical review and wound up getting sued. The contractor sought a permanent injunction [to get those posts removed], exactly like in my case, and the trial judge granted it. She got help from a group called Public Citizens out of D.C., and they got that injunction overturned. What about jail food? We touched on that, too. What was life like in jail? Jail’s not supposed to be pleasant, and I can confirm that it isn’t. There were times I thought I wasn’t going to live through it. The inmates in general were nice to me, but it’s a volatile place where violence happens, and I was concerned on a regular basis about something breaking out. I lost probably close to 20 pounds. The Shelby County Jail—some of the meals are fine, but you just don’t get as much as you normally would. I’m tremendously grateful to be back home with my wife, Carol, and our two kitty cats and trying to get life back to normal again. I was largely cut off from communication with the outside world, with little opportunity to defend myself, during a five-month incarceration over a defamation lawsuit. Those are among the key points in a new article from Think Progress reporter Nicole Flatow. Shuler was initially resistant to the order. But even when he wanted to comply, he didn’t know how. Shuler said if he was lucky, he got to make a 15-minute call three or four times a week. “That’s the only communication I had with anybody,” said. Shuler was supported by legal briefs in his case from the American Civil Liberties Union of Alabama, and the Reporters Committee for Freedom of the Press. But neither organization was representing him directly, and only he had the power to appeal his own case. Shuler didn’t appeal. He said he spent his time in jail fearing for his life, and figuring out how he could comply with a sweeping contempt order and get out of jail. 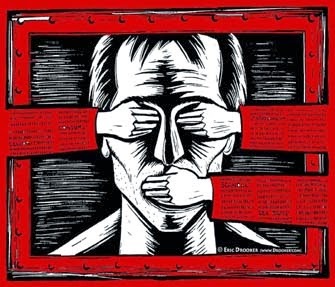 As the Reporters Committee for Freedom of the Press explained in an October letter, the order included a vague mandate to take down all content related to the alleged affair, without ever deeming which content was actually defamatory. Shuler was perhaps the most prominent inmate in Shelby County jail these last few months, but he says he wasn’t the only one who shouldn’t have been there. Most of the people he met were there for drug and alcohol problems, he said, or for mental health issues the jail didn’t appear suited to handle. 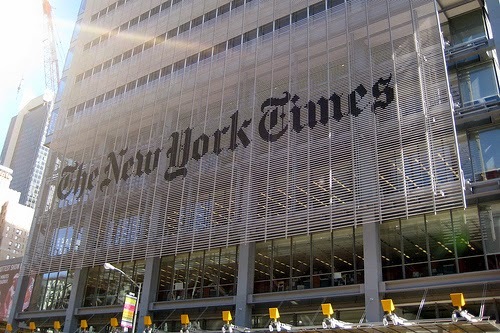 New York Times Falsely Claims That Legal Schnauzer Blog Has Generated "Many Defamation Lawsuits"
A photo caption in a New York Times article about my incarceration states that the Legal Schnauzer blog has "prompted many defamation lawsuits." The statement is false and comes on top of other inaccuracies that we have previously noted in the story. The January 12 article, by reporter Campbell Robertson, inaccurately states that I was "unwilling to hire a lawyer" and that I planned to "bring federal criminal charges" against the judge in the defamation case that led to my incarceration. But the newspaper stepped way out of bounds by hinting on multiple occasions that I have long been the target of defamation lawsuits. The record, however, shows that I had been a professional journalist for 35 years without ever being sued for defamation--until two Republican political figures filed similar lawsuits within roughly one month of each other in August/September 2013. In short, my experience as the target of defamation lawsuits involves two cases in the span of roughly one month during a 35-year career. That constitutes "many defamation lawsuits"? Mr. Shuler is no stranger to defamation suits, as one might surmise from reading his blog. Posts on Roger Shuler’s blog, Legal Schnauzer, have prompted many defamation suits. His refusal to cooperate in one recent case has led to his being jailed since October and has drawn international attention. A New York Times report on Shuler may have underplayed some chilling factors relating to the blogger’s situation. The Times story gave the strong impression that Shuler has regularly engaged in salacious and defamatory writing about Alabama lawmakers and policymakers. Carol Shuler, Roger’s wife, spoke to Salon and claimed this was an erroneous characterization. She noted that her husband had never been sued for defamation, until two suits were filed against him at the same time. We now know that the Times, in its photo caption, did more than give a strong impression that I had regularly engaged in writing that sparked defamation lawsuits; the newspaper made a flat-out statement to that effect. The public record shows that the assertion is untrue. Journalist Felt Caught Between "Rock And Hard Place" During Five-Month Struggle For Freedom? Why did it take five months for me to be released from jail? I don't know of a simple answer to that question, but a new report from the Reporters Committee for Freedom of the Press (RCFP) shines light on that and other issues. Reporter Michael Rooney wrote the article, titled "Blogger Roger Shuler released after five months in jail." Rooney addresses the challenges I faced in dealing with a court order that, according to commenters from both the left and right, ran contrary to long-established First Amendment law. Civil contempt refers to a willful, continuing failure or refusal of a person to comply with a court’s order, ruling, or command, including a subpoena. In order for there to be a civil contempt the ruling, order, or command must still be capable of being complied with before Alabama contempt charges will be justified. 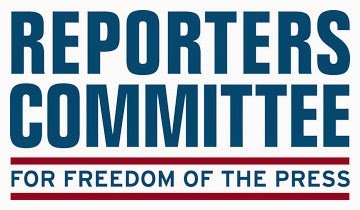 The Reporters Committee for Freedom of the Press . . . argued that the process by which the court issued the take-down order was problematic. Details about my release from the Shelby County Jail are available in a new article at al.com. Reporter Kent Faulk gave me an opportunity to comment about the whole experience, and I hope that provides new insight about my time behind bars. The article is titled Legal Schnauzer blogger freed from jail after 5 months; had been held on contempt charge and focuses on steps that led to my release last Wednesday. I see from your blog that your wife removed some things from your blog etc. That satisfied the judge? Do you feel you had support from different groups during your incarceration? How so? "I'm very thankful to be out of jail. It was an extremely difficult experience, physically and mentally. "I had hoped to be released much sooner than this, with the help of legal counsel that could have argued that the preliminary injunction in my case was improper under roughly 200 years of American law. It's a classic prior restraint, the kind that long has been forbidden under the First Amendment. Outside legal counsel was slow in developing, and I couldn't argue the case for myself from inside the jail, so over the course of several weeks my wife figured out how to remove certain items as ordered by the court and gained my release. I see her as a hero in this, operating under very stressful conditions. "I guess you could say it was a survival move. While inmates and guards generally treated me well, jail is a rough place. I witnessed an inmate suicide and regularly witnessed fights or intense verbal altercations that threatened to become dangerous. I needed to get out, especially when you consider this was a civil matter that involved no criminal allegations. "I regret that it took five months to make this happen, but we had very little direction from the court on how to make it happen. And inmates in general have limited opportunities to communicate with the outside world. I'm not sure the general public understands just how isolating the jail experience can be. I certainly didn't realize it until I experienced it. "As for support from different groups, I know the ACLU and Reporters Committee for Freedom of the Press (RCFP) filed briefs on my behalf--and I greatly appreciate that. I know a lot of people from all walks of life were in touch with Carol, offering support in different ways. I think my case was so extraordinary--I was the only jailed journalist in the Western Hemisphere for 2013--I'm not sure a lot of people knew exactly how to respond to it. It's just not the kind of thing you see, or should see, in the United States. Plus, the case file was sealed for a number of months, and that helped keep people in the dark. "I do know that Carol and I have been in a lot of thoughts and prayers, and that means more to us than I can say." Roger Shuler, who writes the blog Legal Schnauzer, was released from the Shelby County Jail last Wednesday afternoon based on an order from Circuit Court Judge Claud D. Neilson. In his order, Neilson stated that Shuler's wife, Carol Shuler, "has removed most of the subject matter of the injunction from the Legal Schnauzer blog, from Shuler's You Tube account, and from Shuler's Twitter account." "The court is informed that the headlines about the subject matter of the injunction are still on the internet if you utilize Google or Yahoo. The defendant Roger Shuler, also has another blog/website that contains the material that was determined to be defamatory and made the subject of the permanent injunction," the judge wrote. "Because of the good faith efforts made to remove the material by Carol Shuler, the court has determined that the defendant, Roger Shuler, may be released from custody pending a review by the court of all actions taken to remove the defamatory items and if the defendants have purged themselves of contempt," Neilson wrote. But Neilson also cautioned that his final order in the case on Nov. 14, 2013 is a permanent injunction - ordering Shuler to take the comments down - and Shuler is subject to its terms in the future. Legal Schnauzer Publisher Roger Shuler has been released from five months in the Shelby County Jail, but numerous legal issues remain from his incarceration. No. 1 on the list probably is censorship, and a long line of court cases points in that direction. Loyal readers have helped sustain this blog during a traumatic time, and we invite your financial support to help continue the battle. Donations can be made by clicking on the donate button to the right. Shuler was incarcerated because of a civil-contempt charged based on a preliminary injunction in a defamation lawsuit. But American law long has held that such injunctions constitute an unlawful prior restraint and are forbidden under the First Amendment. To anyone who has followed my case, those words from 1931 should be particularly chilling.